Player Eligibility in the Context of Ireland: FIFA Player Eligibility in the Context of Ireland: The Actual Rules, the Real Facts and Dispelling the Prevailing Myths. - Ángel María Villar, FIFA legal committee chairman (June, 2011). Within a footballing context, it is the right of Irish nationals born in Northern Ireland to declare for the team that represents their country, Ireland. It is both bewildering and inexplicable, however, how such an astounding level of confusion and ignorance still reigns over the issue of FIFA player eligibility with regard to these Irish nationals in spite of the fact that there are clear rules in place to govern it (see articles 15-18 of FIFA’s Regulations Governing the Application of the Statutes), over which an independent judicial body, the Court of Arbitration for Sport (the CAS), has provided ample clarification in a long, thorough and detailed judgment. That judgment - CAS 2010/A/2071 IFA v/ FAI, Kearns & FIFA - came as a result of the 2010 case brought by Northern Ireland’s Irish Football Association (the IFA) against a Northern Ireland-born Irish national, Daniel Kearns, who, under FIFA's approval, declared for Football Association of Ireland (the FAI), who administer football in the Republic of Ireland and represent the Irish nation. The overall aim of the IFA’s action was to challenge the right of Northern Ireland-born Irish nationals generally to declare for the Republic of Ireland and, beyond exceptions where players might also be eligible for another association, to limit the choice of these players to either play for Northern Ireland or play for no-one. * A judgment that measured 27 pages in length might well have demonstrated an innate complexity and delicacy in this issue, but when that judgment is so readily available to anyone with even a remote interest in player eligibility, there is no defence for ignorance. “The Committee considered this association’s statement that almost any player can obtain a Republic of Ireland passport in order to secure eligibility to play for this country. The atmosphere of the meeting was described by O’Byrne to have been “very positive” whilst Boyce declared himself as being “extremely happy” with the outcome of all items on the agenda. Clearly, the IFA’s thinking on the matter changed at some later point in time - it would appear to have been around the time of Darron Gibson’s high-profile declaration for the Republic of Ireland in 2004 - although there was no reason whatsoever for them to ever assume that the situation or the effect of the rules governing this specific issue had changed. Contrary to popular misconception, the Good Friday Agreement of 1998 has nothing to do with the application of FIFA’s statutes on Irish nationality. The Good Friday Agreement was a constitutional document agreed between the British and Irish governments after backing from the majority of the electorate in Northern Ireland that, amongst numerous other things, acknowledged and bilaterally endorsed, as an undisputed right of law, the will of members of Northern Ireland’s nationalist community to identify as Irish. It is frustrating to see it continually bandied about in discussions surrounding player eligibility, however, especially when the eligibility of Northern Ireland-born Irish nationals to play for the Republic of Ireland is being attributed to its terms. It is mentioned here in order to discount this misguided belief. Players born in Northern Ireland have been lining out for FAI teams under FIFA rules identical in effect to those in place today before the Good Friday Agreement. Ger Crossley, Gerard Doherty, Mark McKeever and Tony Shields, for example, were all born in Northern Ireland and, qualifying via their birthright to Irish nationality, played for FAI teams between 1995 and 1998. Crossley was even selected in a senior squad by then-manager Mick McCarthy for a friendly game against Mexico in 1998, although he did not actually play. It would have been difficult for the FAI to turn such players away given they were Irish nationals, after all. Countless others have played for Irish teams between the signing of the Good Friday Agreement and the saga involving Darron Gibson that seemed to implant the issue of player eligibility in the minds of Northern Ireland football supporters. By virtue of articles 2 and 3 of Bunreacht na hÉireann and sections 6 and 7 of the Irish Nationality and Citizenship Act 1956, Irish nationality has been available from birth to those born in Northern Ireland who have wished to have it recognised long before 1998; what the Good Friday Agreement did was provide a confirmation of the now-undisputed nature of this with bilateral endorsement, and whilst this might have changed mindsets and cleared up any misgivings in what might have previously been an area of diplomatic dispute, it had no effect on the application of FIFA regulations governing Irish nationality. The fact that Northern Ireland-born players represented FAI teams in the mid-1990s, years before the Good Friday Agreement’s signing, should demonstrate this. Arguably, had the Good Friday Agreement not been signed and a perception of the Republic of Ireland’s extra-territorial nationality law as irredentist remained within the psyche of the unionist community in Northern Ireland, it might have posed a greater dilemma for a FIFA unwilling to involve itself in an argument of such an overt political nature over conflicting constitutional arrangements between two states, although they certainly gave no indication of this at the FIFA Players’ Status Committee held in Zurich in 1994 when they affirmed that they “cannot interfere with the decisions taken by any country in the question of granting passports”. If anything, what the Good Friday Agreement did was expunge any possible ambiguity as to the effect of Irish nationality law in Northern Ireland along with the validity of any potential complaint about it from the IFA, but that is all it might have done in relation to this matter. It is also worth debunking some of the other myths that have arisen around this issue. It is often stated erroneously that FIFA’s rules on this matter invoke a requirement for a territorial link via birth, parentage or grand-parentage to the country for whom a player wishes to declare; in essence, that the player, the player’s parents or the player’s grand-parents need to have been born in the jurisdiction of the association he wishes to represent. However, this is not the case at all. In fact, it was under this mistaken premise that the IFA took their appeal to the CAS before having it rejected, as anyone with an understanding of the relevant regulations would have expected. FIFA has four articles - articles 15, 16, 17 and 18 of their Regulations Governing the Application of the Statutes - that govern player eligibility for their member associations. In usual circumstances, the possession of a permanent nationality not dependent on residence is how a player qualifies to play for a particular association, irrespective of where he was born. An individual's jurisdiction of birth or source of immediate lineage is not a determinant of eligibility and does not come into the equation save in exceptions to the general rule or principle where a player might be acquiring a new nationality to play for an association or where a player might wish to represent an association that shares a nationality with one or more other associations, such as one of the four British associations that share the one British nationality. 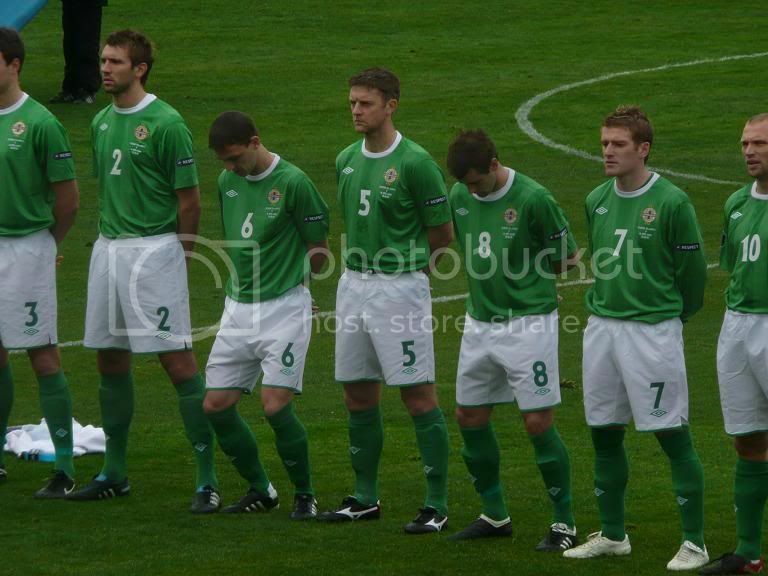 At their most basic: article 15 sets out the over-riding principle of how a held nationality will entitle players to play international representative football for a particular association, distinguishing between a permanent nationality and that acquired purely through residence; article 16 deals with circumstances where a player's single nationality is shared by more than one association and clarifies how, for example, a Welshman, in spite of being a British national, may not be eligible to play for Scotland; article 17 deals with players who acquire a new nationality to represent an association; and article 18 governs the circumstances under which a player can switch from one association to another. I will now go into greater detail and explain the relevance of each article the Irish situation. “Whether the player’s multiple eligibilities are based on one single nationality and/or on two or more nationalities is disputed. The IFA submits that Article 16 is applicable to any player who is entitled to play for several associations on the basis of multiple nationalities whereas the FAI submits that it is only applicable to a player who is entitled to play for several associations on the basis of a “shared nationality”, i.e. a single nationality that entitles him to represent two or more associations. Based on the historical interpretation, it appears that the current Article 16 implements Annexe 2 of the Regulations for the Status and Transfer of Players (edition 2005). Both provisions have a quasi-identical wording. The title of Annexe 2 (“Eligibility to play for association teams for players whose nationality entitles them to represent more than one association”) as well as the FIFA Commentary compel the conclusion that Article 16 covers exclusively the situations of players with “shared nationality”. • The term of nationality is used in the singular form in the title as well as in the par. 1 of the provision, according to which “A Player who (…) is eligible to represent more than one Association on account of his nationality”. The IFA contends that the use of the singular form is acceptable English and does include individuals with more than one nationality. The Panel observes that such would not be the case in French or German. In this regard, the French version (“sa nationalité autorise à représenter plus d’une association”) and the German version of the 2009 Regulations (“Ein Spieler, der gemäss Art. 15 aufgrund seiner Staatsbürgerschaft für mehr als einen Verband spielberechtigt ist”) also use the term “nationality” in the singular form. • Par. 2 of Article 16 expressly states that associations “sharing a common nationality” may make an agreement “to vary item (d) of para 1 of the Article”. "The Panel noted that IFA also advanced an alternative argument that Mr Kearns had shared nationality because, as an Irish national (irrespective of his British nationality), he could play for either IFA or FAI and [the IFA’s barrister] asserted that it had always been the case that the IFA could select Irish nationals with a territorial connection to Northern Ireland…. It was apparent to the Panel that the factual basis for the assertion was controversial and disputed by the FAI’s counsel. Since neither the factual nor legal basis for this argument was sufficiently established, the Panel is in no position to find in its favour." a) He has not played a match (either in full or in part) in an ofﬁcial competition at ‘A’ international level for his current Association, and at the time of his ﬁrst full or partial appearance in an international match in an ofﬁcial competition for his current Association, he already had the nationality of the representative team for which he wishes to play. The switching of Northern Ireland-born Irish nationals from the IFA to the FAI often leads to exaggerated claims by hysterical scaremongers within the Northern Ireland support that it will spell the death knell for the IFA as an association and Northern Ireland as a football side, or that it will lead to “footballing apartheid in Ireland”; in essence, the Northern Ireland team becoming an all-Protestant team. There is absolutely no indication, however, that this will be the case. As has been highlighted, Northern Ireland-born players have been declaring for the FAI for years, yet the IFA still remains in a secure existence. The IFA will always have players willing to line out for its sides, even if all nationalist players were to, for some reason, cease playing for Northern Ireland with immediate effect. National identity, a particularly sensitive issue in Northern Ireland, is at the crux of the issue here and those Northern Ireland-born players who declare for the FAI are expressing their national identity by exercising their right to declare for the team representing their country, Ireland. Clearly, however, some players from nationalist backgrounds will be prepared to continue playing international-level football within the IFA system. Of the current Northern Ireland senior set-up, the likes of Niall McGinn, Paddy McCourt, Sammy Clingan and Chris Baird are all well known to be from nationalist backgrounds. That is their choice, whether it be for career concerns borne out of a self-interest presiding over a sense of national allegiance or it be that they can overlook the obvious hang-ups that might come with playing under the various symbolism of the IFA, be it ‘God Save the Queen’ as an anthem or the "Ulster Banner" as a flag. There is no indication that any “floodgates” have opened or that there is any “exodus” in effect. The fact that there are only eleven places available in any senior international team, which inevitably results in competition, will undoubtedly lead to some players who might be mulling over a switch reconsidering going through with it for pragmatic reasons. They are within their rights to do so. An accusation often levelled at the FAI is that it is engaged in a sectarian policy of targeting and poaching players from Catholic or nationalist backgrounds in Northern Ireland. It is claimed that this has the result of driving a wedge between the two communities. Again, there is no evidence for this whatsoever, nor is there any indication that the FAI would be unwilling to accept Northern Ireland-born Protestants into their teams. The FAI calling up Northern Ireland-born Irish nationals is neither deliberately sectarian nor sectarian in effect in that the FAI are simply accommodating the wish of Northern Ireland-born players good enough to play for the Republic of Ireland to realise their ambition. For all the FAI cares, they might as well be Catholic, Protestant or dissenter. The religious make-up of FAI teams just isn’t an issue. Nobody knows what the religious make-up of the Irish international team is because, frankly, nobody cares. In fact, one could prove such an insulting inference wrong by pointing to the example of Alan Kernaghan. Kernaghan, who was born in England to English-born parents, but of Ulster Protestant descent, received 26 caps for the Republic of Ireland between 1993 and 1996. Kernaghan declared for the FAI after the IFA snubbed his advances due to an agreement they had in place with the other British associations at the time whereby Kernaghan or one of his parents would have had to have been born in Northern Ireland for him to qualify to play for Northern Ireland. As it was, Kernaghan only had Northern Ireland-born grand-parents. Alex Bruce and Adam Barton, who also qualified to play for the Republic of Ireland through Northern Ireland-born grand-parents, are similarly reported by Northern Ireland fans to be of Ulster Protestant heritage, but it never gave the FAI any cause for concern when selecting them. Furthermore, if one is to look through the various FAI teams, past and present, they will see players to have featured with heritages as diverse as Nigerian, Maghrebi and Turkish accompanying their Irish nationality. It is true that those born in Northern Ireland who have declared for the FAI have almost exclusively been from a nationalist or Catholic background, but this is not indicative of any sectarianism on the part of the FAI; rather, it is indicative of the socio-cultural reality in Northern Ireland that distinguishes these individuals as the types who will, in contrast to those from a unionist background, naturally and primarily identify as Irish rather than as British or Northern Irish, feel an affiliation to the Republic of Ireland team and, therefore, dream to play for it one day. The FAI are merely enabling them to fulfil their wish so long as they are deemed good enough to compete in its teams. The fact that most players from NI who declare for the FAI are from nationalist backgrounds does not necessarily mean that the FAI must have targeted them either. It is entirely plausible that they will have made the moves themselves; moves that one naturally would not expect by a player from a unionist background for obvious reasons. In the unusual event that Northern Ireland-born Ulster Protestants, who generally tend to be of a unionist political persuasion, wished to declare for the Republic of Ireland, there is nothing whatsoever to indicate that the FAI would reject their advances. The FAI are not to blame for social division. The phenomenon of Northern Ireland-born players declaring for the Republic of Ireland might be a symptom or manifestation of a disjointed bi-communal society in the jurisdiction, but the FAI cannot be held accountable for this. If a community of people happen to be born in Northern Ireland, but are lukewarm to the notion of partaking in the cultural escapades of the dominant society, that is not the fault of the FAI. Perhaps it would be considered impertinent to pose such a question, but if we are to carry an idea to its logical conclusion, it begs asking; why not, if Northern Ireland fans are so genuinely opposed to this alleged and so-called “footballing apartheid in Ireland”, advocate a single all-island Ireland team? Of course, as is entirely understandable and to be expected, Northern Ireland fans will not advocate such a development. The reasons given, however - most likely, somewhere along the lines of apprehension over a possible loss or dilution of identity - will draw parallels with the reasons given by Northern Ireland-born Irish nationals as to why they would prefer to play for the Republic of Ireland over Northern Ireland. Surely then, to be at least consistent, such observers could empathise with the decisions of these players. As for accusations of poaching or theft, such accusations imply the possession or ownership by someone of something stolen by another in the first place. Meanwhile, international football is a wholly voluntary endeavour. There are no contractual or legal obligations involved in its pursuit. Players do not ever become the property of associations. The best players available to an association at any one time are called up voluntarily on a game-to-game basis, receive training and instruction prior to that game and “pay” the association back with their immediate services on the pitch. They owe nothing further in return, if even that is owed. Just because a player might have played for Northern Ireland at youth level does not dictate that he owes the IFA a career of service at senior level. If he declares for the FAI he will receive training and instruction for them prior to each game for them and, likewise, return the favour with his services on the pitch until he decides to hang up his boots for good. It is important not to fall into the trap of viewing Northern Ireland-born Irish nationals who declare for the Republic of Ireland as the original "property" or “slaves” of another association. As highlighted, one can only lose something if it was his property in the first place. Irish nationals born in Northern Ireland are just as entitled to play for the FAI as they are to play for the IFA, so, technically, the IFA are not really losing these players to the FAI as neither association has any more right to lay claim to them in the first place, whether they have played at any level for Northern Ireland or not. Theft also implies a sense of illegality. Everything here is fully above board and in line with the rules covering the matter. Animals that are poached have no choice as to their fate. On the other hand, players who declare for the Republic of Ireland do so of their own free volition. It is also debateable as to whether the FAI even actively targets and approaches certain Northern Ireland-born players at all, in spite of the fact they do happen to be fully eligible to play for Ireland. There did exist an understanding between the FAI and IFA since the meeting between Boyce and O’Byrne in 1999 that the FAI would not make the first move in approaching players that could be perceived in some quarters as IFA players. Under this agreement, it was up to the player to initiate his desire to play for the FAI. In the case of Shane Duffy, for example. FAI youth coach, Sean McCaffrey made a point of not contacting the player in spite of obvious interest from Duffy in playing for the Republic of Ireland; Duffy had previously attended an FAI training camp and there was a considerable amount of talk in cyberspace via family members and in the local media that he would rather be playing for the Republic of Ireland. Furthermore, he even had a father from Letterkenny, meaning he would have qualified to play for the Republic of Ireland even if the criteria in article 16 applied to his situation, yet the FAI were only willing to engage once Duffy initiated contact to declare his intentions officially. This demonstrated how sensitive the FAI were with the issue of selecting Northern Ireland-born players. It is uncertain as to whether this “policy difference” was ever made known to Duffy who, at the time, surely felt a little confused as to why the onus would be on him as distinct from other Irish players with whom the FAI would have no problem contacting first. Nevertheless, in light of the CAS ruling in the Kearns case, and its reaffirmation of the correct application of the eligibility statutes, there is no compelling reason as to why the FAI ought to comply with any 1999 agreement with the IFA considering the IFA brought them to court on the issue of selecting Northern Ireland-born Irish nationals for its representative sides. It would be fair to view this action as a breach of any such agreement. The IFA’s activities have also shown them to be engaging in hypocrisy on this matter. Whilst Northern Ireland manager, Nigel Worthington, continues to completely misunderstand the nature of Irish nationalism in Northern Ireland along with the purpose of FIFA’s regulations with ill-informed and disgruntled utterances such as, “If you are born in the country, you should be representing that country”, it is not exactly as if he even adheres to his own spiel. Worthington has never held back from selecting players born outside of Northern Ireland for his sides. He has often selected Germany-born Maik Taylor, for example, as his goalkeeper whose link to Northern Ireland is no more than having been born outside the UK to an English father, thus entitling him to a British passport. Such circumstances permitted Taylor to declare for any of the four British associations under previous FIFA statutes that have since been amended. A brief look through the various IFA youth sides further reveals a significant recruitment effort that extends not only to those eligible to play for Northern Ireland born in England or the rest of the United Kingdom, but reveals one that is focused on players such as Caolan Lavery and Jordan Watson, both born as far away as Canada and Cyprus, respectively. Current senior internationals, Oliver Norwood and Lee Camp, even played for England at under-age level before being called into the IFA’s ranks yet the IFA continue to try and take a principled stand against what they dub “poaching” by the FAI. One might claim they were surplus to requirements at the FA when Northern Ireland selected them (not that an association would conventionally make such a declaration anyway), which apparently makes matters different, but who is to say with any certainty that either player’s future development would not have put him in line for a future England call-up? There are plenty of late bloomers in the football world. Furthermore, Worthington has even approached current England starlet, Connor Wickham, who would qualify to play for Northern Ireland through his Northern Ireland-born father, about playing for Northern Ireland whilst the English FA still patently have a very serious interest in the highly-rated prospect who has already lined out for them in all under-age teams up to under-21 level despite still being only 18. And as if that is not hypocritical enough, current Northern Ireland players, Johnny Gorman and Ryan Brobbel - both English-born but eligible by virtue of their descent to play for either Northern Ireland or the Republic of Ireland - played in the FAI’s youth set-up before switching to the IFA. In fact, it recently emerged that Nigel Worthington was keen on securing the services of Alex Bruce for Northern Ireland, who also qualifies for both associations via his grand-parentage; the interesting thing about this is that Bruce has already been capped twice in two senior international friendly matches for the Republic of Ireland and has captained the FAI’s international ‘B’ team. It is difficult to take claims of FAI poaching seriously when the IFA is happy to frequently approach and select players who form part or once formed part of their neighbours’ teams. Of course, the deep irony in all of this is that in the recent May fixture between the Republic of Ireland and Northern Ireland as part of the Carling Nations Cup in Dublin, there was only one player on the field who had switched from one of the participating associations to the other; he was Johnny Gorman of Northern Ireland. Numerous other myths persist with regard to the eligibility issue and it is about time they were also exposed as false or inaccurate once and for all. Some of the most common misguided claims and misunderstandings to prevail are outlined below. FIFA is not dragging its heels or dodging anything in relation to the matter of Irish player eligibility. The governing body has been wholeheartedly transparent on this issue. It has a set of easily-accessible rules in place, over which the CAS has provided clarification for the IFA when it was demanded by way of a fruitless appeal. FIFA sided with the FAI in the Kearns case after having already affirmed his eligibility, so its position should not be unclear to anyone, even if they missed the organisation's countless reiterations on the primacy of its statutes and their application to the Irish eligibility question. The current reality arises from clear and long-standing FIFA rules considered by FIFA’s Legal Committee and firmly agreed upon by at least a 75 per cent majority of the voting member associations at the FIFA Congress; not a mere one-off “ruling” or any anomalous “loophole”. Neither does the current situation run in the face of any alleged “general principle”. Article 15 is titled as the "Principle". That is the rule under which Northern Ireland-born Irish nationals qualify to play for the Republic of Ireland. If there is to be a general principle taken from FIFA’s rules on player eligibility, then that is surely to be it. Article 16, on the other hand, with its criteria of a territorial link via birth, parentage or grand-parentage is not a general principle. Even if it was to be claimed that some apparent principle could be implied from this article, the express rule laid down in article 15 would, naturally, always have the effect of superseding it anyway. To describe FIFA’s eligibility regulations in terms of a “ruling” or “loophole” is to insinuate that they are arbitrarily fleeting in nature and might be subject to constant change at the whim of some FIFA politician; that the IFA have been hard done-by by some sloppy lack of foresight and the hasty passing of an ill-thought piece of legislation for the sole purpose of appeasing the FAI and that they can expect FIFA to overturn their apparently-erroneous ways by passing another ruling. This is not the case at all, nor does FIFA operate in such a fashion. Let us examine the point of rules and regulations. Rules exist to legislate against the occurrence of certain actions. As a corollary of this, they also permit certain actions, if not expressly, then implicitly; actions that would otherwise have rules constructed to prevent their occurrence if it was felt these actions were in some way transgressive. By selecting willing Northern Ireland-born Irish nationals, the FAI, whilst obviously standing to benefit, are engaging in an exercise that is not only in no way illegitimate, but in one that is also expressly and intentionally provisioned for by FIFA’s rules. Whether the rules allow for a favourable outcome for the FAI or not, to say that operating within their remit should evoke shame or would be in some way underhand would be both disingenuous and incorrect; it is a wholly legitimate endeavour. If the FAI are going to be vilified for apparently acting in their own self-interest, it is worth pointing out that self-interest is the primary motivation of all associations, including the IFA, and there is no crime in that. FIFA have had ample opportunity to amend their rules if they had ever felt they needed amendment. Besides, one could challenge such emotional dross with a similarly-sentimental point by arguing that the FAI are behaving in a noble manner to facilitate young Irishmen who just happen to be born in Northern Ireland in realising their dream of playing for their country. Arguably, it would be entirely unfair to deny a legitimate Irish national the right to declare for his country. The CAS outlined that it could find no evidence of an agreement that would have had the effect of precluding Northern Ireland-born Irish nationals from representing the Republic of Ireland; the IFA could not provide evidence of one, the FAI denied such ever existed and FIFA claimed no knowledge of it. Hence, it is fair to assume that one did not exist. If an agreement had existed, one would have expected the IFA to have been able to offer proof of it. Seeing as the IFA were the party claiming its existence, the burden of proof should rightly have laid with them. “On 7 October 1946, because at that time the IFA were selecting players born anywhere in Ireland for its international teams, the FAI requested FIFA to confirm that “players born within the area of [FAI’s] jurisdiction [were] not eligible for selection for International purposes by any Association other than the Football Association of Ireland”. “The players (NB. of International Matches) must be selected by the National Associations concerned and be subjects of the country they represent”. The IFA did not accept that Mr Shricker’s approach applied to matches against the other British associations, which, at the time, were not governed by the FIFA regulations. The issue was raised on several occasions before FIFA, which initially deemed that it was not in a position to interfere in the matter, but later accepted to intercede when the IFA brought to its attention the fact that the FAI was putting pressure on players from within its jurisdiction to sign an undertaking not to play for the IFA. “The Executive Committee of the F.I.F.A. considered the complaint made by your Association against the F.A. of Ireland at its meeting in Madrid, and have directed us to confirm that the Football Association of Ireland would act contrary to the F.I.F.A. regulations if they imposed conditions or restrictions before a player was transferred to another association in membership with the F.I.F.A., if his transfer documents were otherwise completely in order. On the other hand, the Executive Committee consider it inadmissible to select players, being citizens of Eire, for the representative teams of a country other than Eire. An exception from this rule is only allowable in respect of the international matches between the four British Associations if those countries agree and the F.A. of Ireland do not object, but not for matches played in Jules Rimet Cup”. Hence, no contract could be implied by conduct as there was no conduct to adjudge on the part of the FAI to suggest that they were of the belief that Irish nationals born in Northern Ireland were not or ought not be eligible to play for them. If there was any agreement between the two associations, it was when Jim Boyce accepted that the FAI could call up Northern Ireland-born players in 1999 and Bernard O'Byrne agreed that the FAI would only call up those who volunteered their services or, in effect, made first contact. However, the IFA taking the FAI to the CAS could rightfully be deemed a severe breach of such an agreement and, in light of this, there is no moral reason as to why the FAI should not communicate with Northern Ireland-born players eligible to play for the Republic of Ireland prior to them volunteering. They are as eligible to play for the Republic of Ireland as any other player with the right to a permanent Irish nationality not dependent on residence. In any event, as highlighted by the Kearns judgment, a Northern Ireland-born Irish national seeking to switch from the IFA to the FAI would not have been party to any alleged agreement and would remain entitled to exercise his rights as provided by articles 15 and 18 of FIFA’s regulations. The problem with a compensation argument is that it casts individual players as possessions of associations. The reality is that choice still ultimately rests with dual national players as to for who to declare, regardless of an association's future hopes and intentions for that player. Let’s look at Northern Ireland midfielder, Oliver Norwood, or goalkeeper, Lee Camp, for example. Both have been capped at senior competitive level for Northern Ireland and are now tied down to the IFA. However, both were also part of the English under-age set-up at one point before being selected by the IFA. Who is to say with any certainty that either would not have been considered an option for England years down the line if his progress and development at club level were to somehow put him in the reckoning for a call-up? It is possibly unlikely, beyond some sort of English international goalkeeper or midfielder crisis, but the point is that nobody can say with any certainty. Ought the Football Association (FA) argue for compensation to be paid to them by the IFA under such a hypothetical scenario, given the fact these players played for the FA’s England at youth level? And what would prevent them from claiming they had actually had future intentions for him anyway after they had already been tied down to Northern Ireland simply in order to extract money from the IFA? Such a system would be vulnerable to rampant abuse. Even if a Northern Ireland-born player was not to declare for the FAI, it would still be his right to refuse to represent the IFA regardless. By the same token as above, ought there be calls for individual players such as George McCartney to recompense the IFA for any losses accrued by the organisation in their development due to their later refusal to represent Northern Ireland? In McCartney’s particular case, his refusal to play was due to a disagreement with former Northern Ireland manager, Lawrie Sanchez. Or what about those players who are deemed to have retired “prematurely” from the international game by fans and association alike? Should an association have the right to dictate that these individuals still owe something back to the association - that they ever owed something to the association in the first place - and thereby either force them to play on or pay compensation? It is a ridiculous idea through and through. If the concept of compensation was introduced into international football, it would necessitate the invocation of original contractual obligations; that would destroy the essence of international football as a voluntary endeavour. Even if we were to overlook all of this, having a player sign a contract would invoke a catch-22 situation anyway. Beyond the hurdle of having a minor enter into an agreement of a legal and binding nature, such a contract, whilst, for the sake of argument, maybe having legal standing under the law of the state, would have no standing whatsoever under FIFA’s statutes. It would be in breach of the regulations and FIFA would in no way condone it as they expressly endorse the idea that not even a friendly game ought to tie a player to an association. Essentially, it would amount to an attempt by the IFA to transcend or subvert their rules, whichever way one wanted to view it. If a player breached such a contract, it would make no difference to FIFA as such a contract would not be regulated by their statutes. However, if the IFA then proceeded to ensure the contract was upheld in a court of law after what they considered to be a breach by the player concerned in order to deny this player his right to switch association under the Regulations Governing the Application of the Statutes, FIFA would promptly threaten to suspend the IFA from competition under what would amount to third-party involvement in the running of the association; a breach of articles 13 and 17 of their General Provisions. Of course, the origin of the IFA’s resources is also worth taking into account here. Regarding the claim that the IFA are losing out financially when players born in Northern Ireland who have played for their under-age sides opt to play for the Republic of Ireland at a later stage, it must be considered that the IFA are largely tax-payer dependent when it comes to funding. The IFA are funded by the nationalist tax-payer and by the families of those Northern Ireland-born players who have declared for the Republic of Ireland in the very same way they are funded by everyone else in Northern Ireland so it seems entirely valid that these players be beneficiaries of the rates paid by their community. As recently as April of 2011, Northern Ireland’s Department of Education, run by Sinn Féin MLA, Caitríona Ruane, announced a commitment to the provision of £3 million that would ensure the IFA to be able to continue employing 30 full-time specialist coaches, delivering and supporting physical education programmes along with teachers in over 270 schools, for the next four years. These IFA grassroots coaches operate within all the local council areas of Northern Ireland and are also funded largely by the rate-payers of the particular council area, rather than by the IFA. Furthermore, most of this coaching occurs on pitches and facilities owned by schools and the councils; not on IFA property. None of the aforementioned takes into account the millions pumped into the IFA on an annual basis from Stormont, the local councils and SportNI. The myth that the IFA are losing out is a complete red herring. It is evident that it is not strictly IFA-raised money that is developing promising players in Northern Ireland; rather, it is the tax-payers of bi-communal Northern Ireland, which includes a substantial segment of the population who are delighted when they witness the likes of Darron Gibson taking to the field of Lansdowne Road in a Republic of Ireland shirt. If a young player from, say, Belfast or Derry decides to opt to play for the Republic of Ireland, it is as much his parents and family who have been funding him via their rates and taxes as it has been the IFA. To expand on this, it is debateable as to how much of actual substance the IFA contribute to the development of young players, be it in Northern Ireland or when players move to clubs in, say, England. Most players’ development occurs at their clubs. So, barring the odd weekend away to play, say, the Faroe Islands in an under-17 game and a couple of nights’ stay in a hotel, the IFA contribute little of significance in the larger scale of things. Take Paul George, a Killough-born player who recently opted to play for the Republic of Ireland at the age of 16 after having lined out with the IFA, for example; he moved to Glasgow when he was 14 to take up an academy position with Celtic. It is Celtic, and not the IFA, who have contributed overwhelmingly to his development as a player. Then there are Darron Gibson and Marc Wilson who joined the Manchester United academy a number of years ago when they were in their mid-teenage years and since departing from the IFA set-up, have been with the FAI from under-17 and under-18 level, respectively. It has to be questioned what real development the IFA contributed to their abilities through resources of its own. The answer would be extremely little. If we were to be brutally honest, one might even attribute much of the physical and athletic development of the likes of Marc Wilson, Shane Duffy and Shane Ferguson to the time and resources of the Gaelic Athletic Association. All three in particular were keen Gaelic footballers in their youth. Besides, as has been highlighted already, when young players are called into an under-age team, they are already offering something back to the association by way of their services on the pitch. There is more to the IFA than merely senior international football. Likewise, paying fans will also have benefited from being able to watch and take enjoyment from the contributions of the players concerned if something quantifiable in return is what they are seeking. FIFA’s congress voted to scrap the age limit of 21, before which players were entitled to switch allegiance, so long as they hadn’t played in a competitive senior international for their original association, from the current article 18 of their Regulations Governing the Application of the Statutes in 2009 after a motion from the Algerian Football Federation and lobbying from the north and west African francophone bloc of associations. It is highly unlikely they will go back on that now or introduce a one-off rule specific to the Irish situation without taking the FAI’s considerations into account. There has been no indication that they would consider it, but, of course, the IFA are more than free to lobby for this if they wish. Technically, the FAI can't really select two jurisdictions’ worth of players; they can select only those players who are nationals of the country the association represents, just the same as that which applies to every other association around the world. The general principle or criterion for eligibility, as outlined in article 15, requires the possession of a nationality; there is absolutely no mention of a requirement for a jurisdictional link in this article. Being able to select nationals born in a jurisdiction beyond their authority is not something that is unique to the FAI. The rules are universal and no two countries in world football have an identical number of nationals available for potential selection from their respective player pools, so talk of an unfair advantage is also disingenuous. The FAI cannot call up Northern Ireland-born players who do not acknowledge or effect their birthright to Irish nationality. Ultimately, choice rests with the player. Ignoring the bowed heads of those in Northern Ireland teams from nationalist backgrounds as ‘God Save the Queen’ plays before kick-off at Windsor Park, there are a number of reasons as to why a player from a nationalist background might end up playing under the "Ulster Banner". The occurrence of such, combined with a later switch to the FAI, does not necessarily have to be seen as contradictory, nor does it strike a blow to the notion that such players might still identify as Irish and may rather play with the Republic of Ireland first and foremost. There appears to be tendency in recent years for certain Northern Ireland-born players playing for Derry City - Kevin Deery, Barry Molloy, Marc Mukendi and Gerard Doherty, for example - to start out internationally in the under-age squads of the FAI. It is entirely plausible to assume that playing within the FAI's system in combination with their club’s formal links to the organisation in Dublin are factors in their being noticed despite the club actually being based within Northern Ireland. Meanwhile, for other players from a nationalist background who might have grown up supporting the Republic of Ireland but played at schools and youth level within the Northern Ireland system - for example Shane Duffy, who played with Foyle Harps of the Derry and District League before joining Everton, or Darron Gibson, who played with Tristar Boys of the same league, later the Maiden City Academy and then Institute in the IFA’s Irish League before signing for Manchester United - it is the IFA, with their formal links and scouting network within Northern Ireland, who will have the first “look-in”. Once a young player is called up by the IFA, progresses through the various age categories and forms bonds with his coaches, staff and team-mates, it complicates matters as, although he might always have possessed a childhood dream to play for the Republic of Ireland - or may even have had yet to develop a mature sense of national or cultural identity due to his age - he may now find himself, due to what might have been a matter of convenience – geographically or seeming like "the right thing to do" or whatever - and pride at being offered to play a bit of international football, he would naturally feel like he’d be letting his coaches and team-mates down if, further down the line, he sought to pursue what had always been his personal dream. Is a 15 or 16-year-old realistically going to reject what he will primarily perceive as some sort of formal acknowledgement and vindication of his abilities? He is more than likely going to jump at the chance. Such players who later go on to switch to the FAI have been accused of intentionally exploiting or using the IFA as a stepping stone, but it is questionable as to whether those in their mid-to-late teenage years would be so cynical and contriving. For reasons of pragmatism, the offer of a greater chance of first-team international football with the IFA might even convince certain players to remain in the IFA set-up permanently. Even full Northern Ireland international, Niall McGinn, recently made it known that he was actually a Republic of Ireland fan in the immediate aftermath of Northern Ireland’s 5-0 loss to their neighbours, but he chose to declare for the IFA. The fact that some players place the inevitable risks that come with extra competition behind their national identity in their list of priorities is demonstrative of their allegiance. This is a dilemma that has been faced by some. Shane Duffy, for example, struggled with this quandary before deciding to declare for the Republic of Ireland. After having made his intentions known to the IFA that he wished to play for the Republic of Ireland, he was effectively used as a scapegoat by the IFA in the media in order to draw publicity to their cause. In February of 2010, Nigel Worthington selected him in a senior international squad to face Albania in a friendly and shared Duffy’s apparent inclusion with the media in spite of knowing full well that Duffy had no intention of taking his place in the squad. It forced Duffy to publicly withdraw from the squad, which naturally caused quite a stir in media and Northern Ireland supporter circles. It was off the back of this furore that the IFA took their case against the FAI to the CAS. The fact that Duffy’s father, Brian, was actually born in Donegal meant that he would have qualified to play for the Republic of Ireland anyway even if article 16 had applied to the situation of Northern Ireland-born Irish nationals’ eligibility for the Republic of Ireland, as the IFA were trying to argue, so they saw fit to take the case up with another Northern Ireland-born player, Daniel Kearns, who had elected to switch but had no parent or grand-parent born south of the border; one would be forgiven for viewing the taking of such a case as being in a vindictive light. Duffy’s father, Brian Duffy, speaking in an interview with UTV Live, also in February of 2010, talked about how his son’s situation within the Northern Ireland system “snowballed” as he was fast-tracked through the various under-age brackets and offered what one might dub carrot caps before it finally came to the point where he felt compelled to pursue his life-long dream and declare for the Republic of Ireland, but only after attempts by IFA figures of authority to induce a sense of guilt. No doubt, this is what Newcastle United’s Shane Ferguson is going through right now. Ferguson is another Northern Ireland-born player who is considering declaring for the Republic of Ireland. As it happens, he is also eligible to play for Scotland by virtue of his mother being from there. It must be asked, would such consternation surround a hypothetical declaration for Scotland as it would around a declaration for the Republic of Ireland? Players who have switched association have also been criticised for apparently having taken the place of another more deserving or willing hypothetical candidate in retrospect. It is worth pointing out, however, that the IFA selects the best team available and willing to play for it at any one point in time on merit. Those players selected by the association "repay" the IFA with their immediate performances on the pitch and if the IFA doubts their commitment or utility, they are under no compulsion to select them. Lots of players around the world just miss out on selection for their international teams. Sure, they can have our sympathy, but it would be unfair to take it out on other players who are favoured or deemed by the association to be better deserving of being there and who are offering something back to the association by way of their service. For example, in spite of being fully aware of Shane Duffy's interest in representing the FAI, the IFA continued to select him at the expense of other young Northern Ireland-born players. Ultimately, it is the IFA's call to make. In light of the prospect of Shane Ferguson, who has already been capped once for Northern Ireland in a friendly game against Italy in June of 2009, declaring for the Republic of Ireland, there have been attempts to paint such a prospect as absurd and the FAI’s interest in him as scurrilous. If Ferguson were to switch to the FAI, however, it would be a situation by no means unique to him alone. American-born footballer Edgar Castillo, for example, represented Mexico, for whom he was eligible by descent, on three separate occasions in friendly games between 2007 and 2009 before subsequently declaring for and being capped by the country of his birth, the United States. Likewise, Jermaine Jones, a player born in Germany to a German mother and an American soldier stationed there, played at under-age level for Germany was capped in three friendly matches for their senior team before declaring for the United States in 2010. He has since been capped on four occasions by the United States. As is clear, FIFA have amended and carefully-worded article 18 of their rules specifically so a friendly game will not tie a player down, thus enabling any player to switch association until he plays in a competitive game. This notion that players switching from playing at youth level with one association to playing at youth or senior level for another association is not all that unique or unusual either. There are plenty of examples of players switching worldwide, beyond the likes of Oliver Norwood, Ryan Brobbel, Johnny Gorman or Lee Camp who played for other associations before switching to the IFA, or those such as Darron Gibson, Henry McStay or Ruairí Harkin who've switched from the IFA to the FAI. Shane Lowry of Aston Villa is an example where the Republic of Ireland lost out on a player who had played with the FAI at under-17 level and later at under-21 level before deciding he wanted to play senior football for Australia in 2009. Lowry is a dual national, having been born in Australia to Irish parents, but his decision was not met with anything remotely like the fierce antipathy and bluster discharged by Northern Ireland fans when a Northern Ireland-born Irish national declares for the FAI. It was his decision; Ireland fans accepted that and, although obviously disappointed, wished him the best. Little issue was made of it within the Irish media or on Irish supporter websites and discussion fora. Likewise, Owen Hargreaves, Canada-born to a Welsh mother and an English father, was selected by Wales at under-age level before switching to the FA at youth level after England expressed an interest in him in 2000. Kevin-Prince Boateng, born in Germany to a Ghanaian father, played with Germany from under-15 level through to under-21 level but declared for Ghana in 2010. Similarly, Thiago Motta played with Brazil, his country of birth, at under-17 and under-23 levels before declaring for Italy in 2011, from where a great-grandfather originated. Asmir Begović played for Canada, where he grew up, at under-20 level before declaring for Bosnia & Herzegovina in 2009, for whom he qualified via his birth in Trebinje, even though the town was then part of Yugoslavia. Mikkel Diskerud, born in Norway to an American mother, played for Norway at under-18 and under-19 levels before later switching to play for the US at under-20 level in 2008. He has since received two senior caps with the US. Two other players to have switched association during their careers are Chris Armas and Diego Gutiérrez; both, like Diskerud, played for the US at senior level. Armas, born in New York but of Puerto Rican descent, played for Puerto Rico in 5 non-competitive senior games during 1993's Caribbean Cup and later went on to switch to the US in 1998. He won 66 caps for them between 1998 and 2005. Gutiérrez was capped once by the US at senior level in 2001 after having become a naturalised US citizen the year before but had played with his native Colombia at under-17 level and under-20 level before this. France-born Fréddie Kanouté played for France at under-21 and 'B' levels before switching to Mali in 2004. Mevlüt Erdinç is another French-born player amongst many to have switched association; he played for France at under-17 level before declaring for Turkey at under-19 level in 2005. He's gone on to play for the Turkish senior side on ten occasions. A significant portion of the senior Algerian team is France-born and played for France at under-age level. The same applies to a number of players who currently play for Morocco, including Marouane Chamakh. Meanwhile, Norwegian-born Adam Larsen Kwarasey has had his eligibility to play for Ghana approved in June of 2011. Kwarasey played once for Norway at under-21 level but turned down further interest from the Norwegian association in 2009 with the hopes of representing Ghana, from where his father originated. Clearly, players switching from one association to another under the modern set of rules is by no means unusual. The aforementioned list of players is by no means exhaustive either. It is a list that is constantly updating itself on a regular basis as is evident from recent developments. Those who disparage Irish nationality law often cast the Irish national identity of Northern Ireland-born Irish nationals as some sort of "notional identity", as if it's somehow imaginary or phony. While Irish citizens living outside the state of the Republic of Ireland are entitled to an Irish passport, diplomatic support from Irish embassies and consulates abroad and have a right to repatriation in the state under very exceptional circumstances, as a general principle of international law, it is the sovereign right of each nation to determine who its own nationals or citizens are. The Republic of Ireland practices a citizenship policy of modified jus soli and jus sanguinis, like many other modern states such as Australia, France, the United Kingdom and the United States. No international or European governmental body has any issue whatsoever with Irish nationality law. To add to this, it even has the bilateral approval of the United Kingdom - a part of whose recognised territory over which it has extra-territorial jus soli effect - along with the Northern Ireland electorate itself. Its effect in Northern Ireland is mutually agreed and, by no means, could be considered coercive. Those who wish to effect their birthright to Irish nationality do so via their own discretion. As regards the claim that it is unique in its extra-territorial effect, which might somehow detract from its legitimacy, there are plenty of states around the globe that offer what might be considered more unique forms of citizenship. Israel has its Law of Return that offers Jews worldwide the right to settlement in Israel and Israeli citizenship, whilst Turkey, in fact, offers extra-territorial citizenship to those born in what it alone recognises as the territory of the Turkish Republic of Northern Cyprus. In spite of the remainder of the international community, the United Nations and the European Union recognising the de jure sovereignty of the Republic of Cyprus over the whole of the Cypriot island, Turkish Cypriots are still eligible to play for Turkey under FIFA's rules. Kâzım Kâzım and Muzzy Izzet, for example, both England-born to Turkish Cypriot parents, were entitled to Turkish citizenship by virtue of their parentage and, upon effecting their right, went on to represent Turkey internationally. Of course, the distinction between Turkish nationality law and Irish nationality law is that the extra-territorial jus soli nature of Irish nationality law over Northern Ireland is approved by the international community and endorsed by the United Kingdom. If FIFA take little issue with Turkish nationality law in spite of the fact that they recognise the whole territory of the island of Cyprus as the jurisdiction of the Cyprus Football Association, one would have to wonder why they would ever take issue with Irish nationality law simply because the IFA and some of the association's supporters take issue with it. Likewise, most states’ nationality laws can have effect across borders and territories entirely legitimately and respectfully due to the very common principle of jus sanguinis. The example of Italian international player, Thiago Motta, is another interesting case and is demonstrative of a set of national citizenship laws that ensures the citizenship it confers upon those who seek it is even more accessible than Irish citizenship, for example. Several states around the world, including Italy, provide legal avenues via which members of their diasporas descended from a native-born generation beyond grand-parentage may claim citizenship of that state. Motta was born in Brazil to Brazil-born parents of Brazil-born parents themselves but was entitled to play for Italy under FIFA’s article 15 via his Italian citizenship that he had inherited from an Italian great-grandfather, Fortunato Fogagnolo, who had emigrated to Brazil from Italy in 1897. Another accusation encountered is one that casts Irish nationality law as an unwelcome governmental or political interference in the game of football. It sees those Irish nationals born in Northern Ireland who make the choice to play for the Republic of Ireland as making a politically-motivated decision and, thus, accuses them of committing the alleged sin of embroiling politics in football. "Keep politics out of football", goes the naïve cry of certain Northern Ireland supporters. It must be highlighted, however, that given the nature of international football - it being contested between countries, after all, or inherently and overtly political entities - one could complain that the whole realm is fundamentally founded on what one might call “politics” or "governmental interference". People do not make such daft protestations, however. International football is what it is; founded and upheld on the concept of national identity. Any decision made by a dual national to play for one country over another country will always amount, in some form or another, to a statement of political, national or cultural allegiance or preference. Complaints over the implications of Irish nationality law just make those who take issue with it in particular look desperately out-of-touch, especially when so many states around the world have varying or unique nationality laws with which no-one similarly takes issue. Further to that, the UK government and Northern Ireland electorate actually went one step further and formally endorsed Irish nationality law in its current form with the signing of the Good Friday Agreement. There have been suggestions that the IFA should seek out an agreement with the FAI whereby the FAI would offer to decline to select Northern Ireland-born players who have already lined out for IFA sides. The FAI have also been cast as uncompromising because of their apparent unwillingness to enter into any such agreement. The question must be asked; why should they? By selecting Northern Ireland-born players, whether they have played for IFA teams previously or not, the FAI are operating in a manner that is completely above board and are selecting players fully eligible to play for the Republic of Ireland under FIFA’s Regulations Governing the Application of the Statutes. The validity of any inter-associational agreement made between the IFA and the FAI would also come into question as FIFA’s rules would still have primacy over it and were a Northern Ireland-born player to seek a declaration for the FAI, the FAI would have no power under FIFA regulations to prevent him from exercising his right. Such an agreement would go against FIFA rules, unless it had the governing body’s backing. “[E]very player born on the territory of Northern Ireland, holding the UK nationality and being entitled to a passport of the Republic of Ireland or born on the territory of the Republic of Ireland and holding the Irish nationality could either play for the [FAI] or the [IFA], under the condition that all other relevant prerequisites pertaining to player’s eligibility for a specific Association team are fulfilled." However, whilst the FAI accepted this compromise, the IFA rejected it in a response to FIFA dated the 8th of November. In many ways, the IFA’s rejection was understandable given the content of the proposal, but for some to then claim that the FAI are uncompromising or intransigent simply doesn’t stand. Thus, rather than it amounting to a divulgence of panel opinion, we can see that mention of “an unfair ‘one-way situation’” was an interpretation or synopsis of FIFA’s analysis of the situation prior to the governing body offering a compromise proposal to the two associations concerned. The CAS was explaining FIFA’s rationale for offering its proposal. In any case, in light of the IFA’s rejection of the compromise offer and further analysis of the situation, FIFA consequently deemed the rules satisfactory as they stood. If they had been of the opinion that the rules were so unfair so as to exclude all other concerns, such as the right of Northern Ireland-born Irish nationals to declare for their country, the governing body surely would have gone ahead and made a change itself initially without feeling the need to consult the two associations. From all of this, one thing is clear. By making such a huge and very public issue out of the debate over player eligibility, the IFA shot themselves in the foot. It is evident that very few people were even aware of Northern Ireland-born players declaring for the Republic of Ireland prior to the IFA kicking up a fuss over Darron Gibson's switch. In fact, most people remain ignorant to the fact that Gibson was not the first Northern Ireland-born player to opt for the Republic of Ireland even now. Not only did brewing a media storm have the unintended consequence of further publicising a legitimate option open to Northern Ireland-born footballers, it also has served to make the IFA appear disconnected from the nationalist community - even hostile to its interests and expressions of that community’s national identity - thereby further alienating many and fomenting disapproval within a community to which it is desperately trying to reach out for acceptance. The IFA allowed themselves to become characterised as intransigent, uncompromising and stubborn unionists dead set on hampering young nationalist footballers' dreams of playing for their country. Many on the side of the IFA even still fail to acknowledge that there is a significant population born and living within the borders of Northern Ireland that do not consider Northern Ireland to be their country, never mind their team. If anyone seeks as complete an understanding of this issue as is available, it is suggested that they have a read of the CAS judgment in the case of Daniel Kearns. Thanks in particular to Jason Mallon, ‘K’ (OneTeamInIreland.blogspot.com), James Slevin and Ryan Kelly for their assistance along with the various others who have supported and contributed to the lengthy debates and discussions in relation to this issue on Foot.ie. Versions of this piece can also can be viewed on 'GreenScene' and 'One Team in Ireland'. * In 1953, whilst the constitutional or official name of the independent Irish state was and remains "Ireland", FIFA officially stipulated that the FAI’s team be referred to as the “Republic of Ireland” instead of just Ireland in order to distinguish it from the IFA’s team who were also playing under the same name prior to 1953. Likewise, from 1953 onward, the IFA team was to be officially referred to as “Northern Ireland”. To be clear, I would not condone a merger, the forced destruction of the IFA and its teams or the dilution of any identities concerned. Arguably, the FAI have a 'de facto' all-island team anyway where anyone born north of the border can be selected by the FAI on a legitimate basis so long as they are eligible and willing to be selected. Likewise, those who would rather play for Northern Ireland can do so of their own free volition. So long as individual choice has primacy, I am content with the practical situation as it is without feeling the need to trample on a fundamental element of another tradition's culture, irrespective of how one might wish to view certain elements of that culture, be they perceived as contentious, unsavoury or whatever. As a Republic of Ireland supporter myself - one might have guessed - my personal opposition to a merger at this moment in time would also include a concern for my own team's identity. I would imagine that a merger would involve having to amend the various symbolism and so forth under which we play. What a lot of Irish Republican drivel. If a NI-born player wishes to play for another British team then they must have a parent/grandparent from the territory of the association, or have lived on the territory of the association for 2+ years. If a NI-born player wishes to play for another Irish team then they can be poached instantly. FIFA are hence making a mockery of fair play. The Football Apartheid in Ireland are preventing integration in Northern Ireland and fostering sectarian division. The original Irish team, the Northern Ireland IFA, are arguably more of a non-partitionist team than the separatist FAI, and merely have kept their word on the agreement not to select players from the other jurisdiction. The Republic of Ireland does not have a monopoly over "Irishness" - BOTH teams are as Irish as each other. YMYD; The lights are on but nobody's home. YMYD; how on earth are the FAI preventing integration? What an utterly bizarre and ludicrous accusation. The FAI merely offer an option to certain Irish nationals. They don't coerce them into the squad or deny them access to the IFA. I almost feel embarrassed even acknowledging that point with a response. There never was a "gentleman's agreement" relating to the status of Northern Ireland-born Irish nationals. Did you even read the piece or the jugdment from the Kearns case? The FAI split from the Belfast-centric IFA and sought to replace it as an association for the whole island. The split was spurred by the IFA reneging on a promise to play the 1921 IFA Cup final replay between Shelbourne and Glentoran in Dublin, instead scheduling the re-match again for Belfast. The IFA had also been accused of neglecting the development of the game outside of Ulster. Irish people born on the island of Ireland have every right to ply for Ireland, that's it, that's my two cents. I really don't care if people from NI decide to play for the republic. What i have a problem with is the fact they are allowed to be developed by NI before declaring for the republic, this is unfair, not becasue i don't think they should, but we are financially very limited and to develop players for free is unfair. My thoughts are similar to the club game (sign a player under 24 and compensation is required), a set up should be agree where people from NI who play for the junior ranks should who decide to play for the republic, should be liable to a compensation payment associated with the development. This would allow all sides to protect themselves and understand the pitfalls of not declaring your allegiance early. At present, it is not fair that NI is the only footballing country in the world who can lose players to another country without being born or having family memebers born there, like darren gibson. Under my rules darren gibson would have cost 1m compensation, but would have declared for the republic much sooner, costing 250k, but allowing NI to develop people who wish to play for them, while allowing gibson to play for the republic. • As we know, NI is generally recognised as a bi-communal society. IFA funding originates from the pockets of tax-payers from both of these main communities; that includes the families and communities of players who switch from the IFA to the FAI and those who are more than delighted to cheer such players on whilst playing for Ireland. It is only right to expect that these tax-payers receive some sort of return on their taxes which are being put towards football development in the jurisdiction within which they reside. • These players aren't being developed for free or without return or benefit to the IFA and its fans. International football is a voluntary endeavour with nothing owed between player and association nor is senior men’s international football the only concern of the IFA. However, irrespective of that, the player offers his services on the pitch in return for the association's selection of him in a particular squad. He receives training and tactical tutelage as part of his selection in that specific squad and he returns or repays that favour by offering his services in that specific squad. In McClean's case, he was happy to offer his services to NI at a particular time and the IFA were happy to use those services in full knowledge of his dual eligibility and at the expense of other young players available to them. He contributed to the IFA winning the Milk Cup in 2008, for example. There was no obligation on anyone to continue, or to initiate in the first place, any arrangement. Another example; Nigel Worthington continued calling Shane Duffy into NI squads even after he was well aware of Duffy's thoughts on switching to the FAI. In essence, he was trying to fast-track Duffy by offering him carrot caps to stick with the IFA. • In reality, how much of a player's development can be attributed to the IFA anyway? In most cases, players are being "educated" by their clubs and not the IFA from a young age. • There is nothing unfair here. The same regulations that govern eligibility apply to the IFA and the FAI just the same as they apply to every other member association of FIFA, be they small, lowly-ranked or financially-limited or whatever. If you had read the entire piece above, you'd have realised that Turkey is another state that offers 'jus soli' extra-territorial citizenship to persons born in what the Turkish state alone recognises as the Turkish Republic of Northern Cyprus. Muzzy Izzet and Kâzım Kâzım qualified to play for Turkey via their Northern Cypriot parentage, for example. Of course, no other state recognises Northern Cyprus as a state, never mind a Turkish one, but FIFA still acknowledge the Turkish nationality of its citizens. The difference here is that the whole international community actually recognises and acknowledges the legitimacy of the effect of Irish nationality law over the jurisdiction of NI as explicitly agreed by the NI electorate and the British state, so why shouldn’t FIFA recognise it? • Beyond the fact that imposing contractual obligations upon a minor would pose legal problems, if the IFA could enforce such contractual obligations as you outline (that would also happen to infringe upon the rights of players and associations as outlined in articles 15 to 18 of FIFA's Regulations Governing the Application of the Statutes) in a court of law, FIFA would promptly sanction the IFA with a suspension for third-party interference. Also, who would you be expecting to recompense the IFA with such ludicrous amounts of money? You do realise that player values in the club game are influenced heavily by the salaries that clubs invest in their players, which in itself is an indication of how a player's participation in a team is not a one-way process whereby those players benefit from free "education" with no return for those offering it. Players are not the property or possessions of international associations. Of course, the IFA don't invest in players by way of salaries so attributing "compensation values" to players akin to the obscene amounts of money that plague the elite levels of the modern club game is simply preposterous. And just to correct you on Gibson; he last played for the IFA at under-16 level. Why you'd be demanding €250,000 or even €1 million from him, I don't know. Or did you mean sterling? Furthermore, what about the likes of Lee Camp, Oliver Norwood, Johnny Gorman, Ryan Brobbel, Tony Kane, Michael O'Connor or Alex Bruce? Should the IFA be recompensing the FA and FAI for their roles in these players' development before the IFA took them under their wing? And what about George McCartney, or any other player who decides to retire from the international game at an age perceived by the IFA or NI fans to be earlier than his playing days might allow? Ought they fork out compensation too? To the best of my knowledge, the text of those articles has remained identical, however. Fantastic, it was very nice.